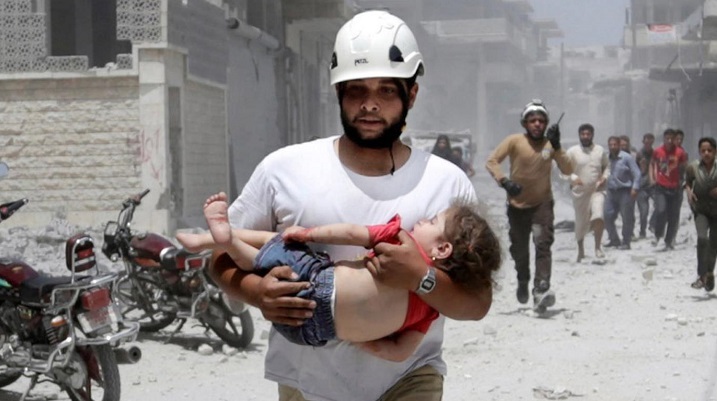 The ongoing civil war in Syria has devastated the country’s population. During the past five years nearly 13 million Syrians have fled their homes to escape the conflict, as my family once did. On September 19, the United Nations will host a Summit for Refugees and Migrants to develop a more coordinated international response to the enormous Syrian refugee crisis. The crisis has put significant strain on countries surrounding war-torn Syria. Jordan, for example, recently said the volume of incoming refugees (1.3 million) is putting unsustainable pressure on the country’s water, financial, and social infrastructure. The global impact of 12 million displaced people requires an international response. On September 20, President Obama will host a Leaders’ Summit on the Global Refugee Crisis to discuss how countries can collaborate and do more to help. In the United States, opponents of accepting Syrian refugees have cited the 2015 terrorist attack in Paris and 2016 attack in Brussels as evidence that terrorists masquerade as refugees and pose a threat to national security. Yet the claim that the refugee program could be abused and lead to terrorism belies the facts. Individuals seeking refugee status with the United States apply for admission while overseas and are vetted prior to their acceptance and entry. All refugees of all nationalities considered for admission undergo a rigorous security screening involving multiple federal intelligence, security, and law enforcement agencies, such as the National Counterterrorism Center, the Federal Bureau of Investigation, and the Departments of Homeland Security (DHS), State, and Defense. Refugee applicants must undergo biometric (fingerprint) and biographic checks. Specially trained government officers conduct an interview and scrutinize the applicant’s explanation of individual circumstances to ensure the person is a bona fide refugee and is not known to present any security concerns to the United States. Certain Syrian refugees also go through an enhanced level of review, given the nature of the Syrian crisis. This process can take up to two years, and only one percent of the total global refugee population passes the initial screening. Posing as refugees is not a realistic nor workable way for ISIL to target the United States. Even given this miniscule number of individuals who pass the rigorous background screening, there is another limiting factor — the annual cap on the number of refugees allowed under the Refugee Act of 1980. The admission cap has remained at 70,000 annually since its inception, and in fiscal year 2016, President Obama increased the cap to 85,000 refugees, setting aside 10,000 slots for Syrians. That maximum number was reached in August 2016. For a foreign terrorist organization looking for opportunities to sneak extremists into the United States, the refugee program is unattractive. The depth of background investigation (particularly for Syrians), the length of time required for application, and the hard cap on the number of refugees who are admitted to the United States make penetrating the refugee program a costly endeavor with low odds of success for terrorist groups. Posing as refugees is not a realistic nor workable way for ISIL to target the United States. Refugees fleeing Syria are the victims of terrorists, and the overwhelming majority of people considered for resettlement are women and children. Their plight is heartbreaking, and they have endured enormous tragedy and suffering. They are the very embodiment of the people the United States has long welcomed; as the Statue of Liberty reads, "Give me your tired, your poor, your huddled masses yearning to breathe free." Leaving millions of refugees to struggle in camps creates generations of troubled young people growing up amidst violence and uncertainty. They are in immediate proximity to the terrorist groups who deprived them of their homes and would force extremist ideas upon them. Sheltering and protecting refugees from instability and violence simultaneously removes impressionable minds from a dangerous situation while also evidencing the compassion and pluralism that makes the United States unique in the world. Turning away Syrian refugees out of unfounded fear betrays the very ethos of this country as a bastion of freedom and acceptance where all people can freely enjoy their heritage and identity without persecution. That is the exact opposite of what groups like ISIL espouse. As well as a security and humanitarian benefit, taking in Syrian refugees has a strong economic advantage. There have been suggestions that admitted refugees would demand extra resources from the states where they settle or that they may become reliant on public aid. Reviews of refugee resettlement, however, reveal that refugees are actually beneficial to the communities where they reside. Refugees face substantial economic hardship in fleeing their homes, and initial support is important for those resettled in the United States. The Office of Refugee Resettlement (ORR) funds aid for refugees once they are admitted to the United States. To travel to the United States refugees are offered a federal loan, which they must pay back after arriving. Once in the country they receive a one-time cash fund for basic needs, and they are also given Refugee Cash Assistance and healthcare for up to eight months, if needed. The states where refugees are settled are not required to offer any additional benefits. Economically, refugees are actually beneficial to the communities where they reside. After this preliminary aid, however, refugees are required to find a job within six months of resettlement. That short timeline, coupled with limited aid, ensures that new arrivals are incentivized to rapidly join the workforce, contributing to the local and state economy through taxes and productivity. While it can be difficult for newly arrived refugees to find employment, they are typically successful. A 2012 study conducted in Cleveland, Ohio, reported that refugees placed in the Cleveland area found employment on average within 4.8 months after their arrival (only slightly faster than the 5-month nationwide average). This in turn yielded a total economic impact of $48 million annually to the local economy, which is about 10 times greater than the cost to resettle refugees. Refugees also increase diversity in the communities where they settle. Studies indicate that the net positive economic impact from refugees is significant soon after resettlement. In Europe, refugees are stemming the tide of a precipitous decline in birthrates. Refugees, like most immigrants, are often fiercely loyal to the country that gave them refuge. They are innovators and artists who can leverage their trauma to become phenomenal leaders. Albert Einstein, for example, fled the Nazis as a refugee. Since 2013 the White Helmets have saved more than 60,000 lives — more than five times as many Syrian refugees admitted to the United States and double the number admitted to Canada. Considering the benefits the rest of the world can safely realize by taking in refugees, we have all the reason to do more to help — and little reason not to. Ehsan Zaffar is a Pacific Council member and an expert on civil rights, civil liberties, and national security matters. He serves as adjunct faculty at the Washington College of Law at American University and George Washington University. Follow him @Ezaffar. The views expressed herein represent only those of the author and not of any organization or entity with which he is or has been affiliated, nor do they necessarily reflect the official policy or position of the Pacific Council.